NCC Directorate is located at Bhubaneswer and headed by DDG who is a Commodore rank Officer from Indian Navy. Presently DDG is Commodore Shailendra Singh, NM. Directorate has three groups and 28 Battalions. 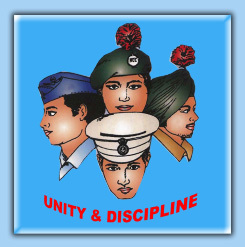 It has cadets from Army,Navy and Air Force consist of both junior and senior boys and girls.